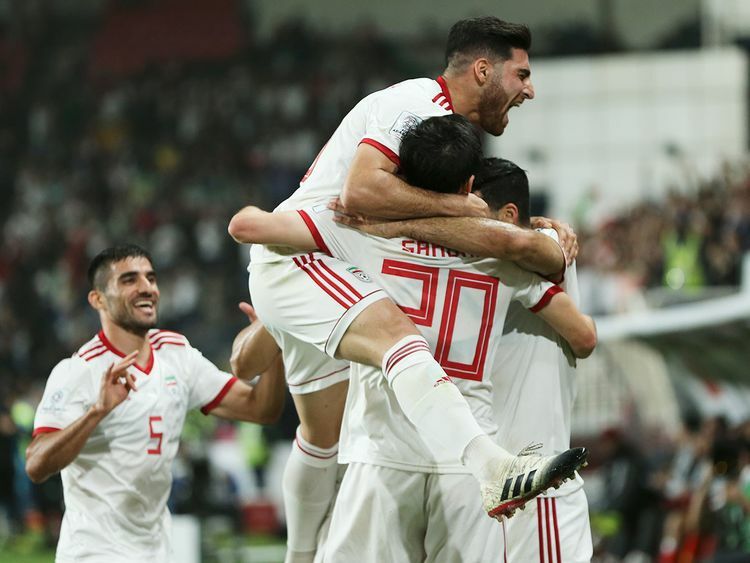 Abu Dhabi: Iran stormed into the Asian Cup semi-finals on Thursday night, ruthlessly swatting aside Marcello Lippi’s China side 3-0 and register another dominant victory at the Mohammad Bin Zayed Stadium in Abu Dhabi. The Iranians signalled their intent from the off, starting brightly with Mehdi Taremi shooting just past the post of goalkeeper Yan Junling inside three minutes. Ramin Rezaeian had to look alert to halt a dangerous ball from China’s Hao Junmin. But the big No. 23 was soon on a marauding run up at the other end, winning a corner that was headed off the line by Zheng Zhi with Junling beaten. A selfless pass from Sardar Azmoun allowed Taremi in to tap home the opener following some hapless Chinese defending on 18 minutes. Iran could have had a penalty after 21 minutes when Liu Yiming took down Azmoun, but referee Abdul Rahman Al Jassim was not interested. The pressure was relentless now and Lippi was forced into early substitutions as he switched tactics. It was to no avail as Iran went 2-0 up before the break, with Azmoun rounding the keeper and slotting home. The second half followed a similar pattern, but China were defending better as Iran went hunting for a killer third goal. And Karim Ansarifard duly delivered in injury time to round off a resounding victory, finishing coolly from the edge of the area. China want to be a footballing powerhouse in the future but on this showing they have a long way to go and Iran will take some stopping when they face Japan in the semis.